Gun Idle is now available on Android! Come find out what all the fuzz is about! Welcome to your WEAPONS factory! You’re now the BIG-BOSS of the world’s greatest shooting range!Ready to train your SKILLS with every weapon you can think of and DESTROY your targets? 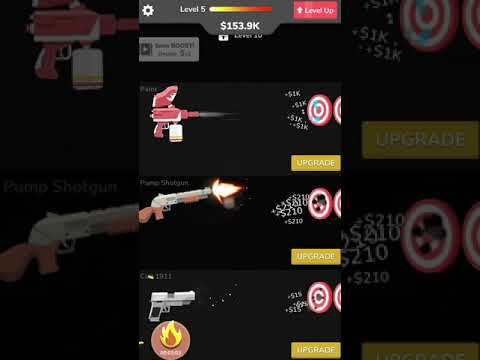 !-	Unlock MORE THAN 40 cool weapons!-	No limit! Make TRILLIONS of dollars!-	Insane POWER-UPS to multipl... see more Welcome to your WEAPONS factory! You’re now the BIG-BOSS of the world’s greatest shooting range!